Medical practice owners have a great deal of overhead expenses for which they are responsible. In fact, according to the 2014 MGMA Cost Survey Report, practice operating expenses range from 50% to over 80% of total medical revenue. 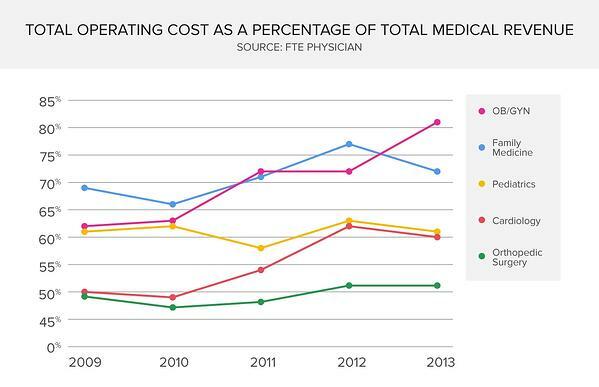 Additionally, Modern Medicine cited rising operational costs as one of the top 15 challenges facing physicians in 2015. So, what happens to the practice you’ve built if you became disabled? Although your practice is a well-oiled machine with a staff of highly-capable assistants and practitioners, could it continue to run without you? Unfortunately, overhead expenses will still have to be paid, even if your income decreases or stops. That’s why Overhead Expense Insurance, which continues to pay office expenses, salaries and wages, rent, utilities, business insurance premiums and more if you became disabled, is essential. 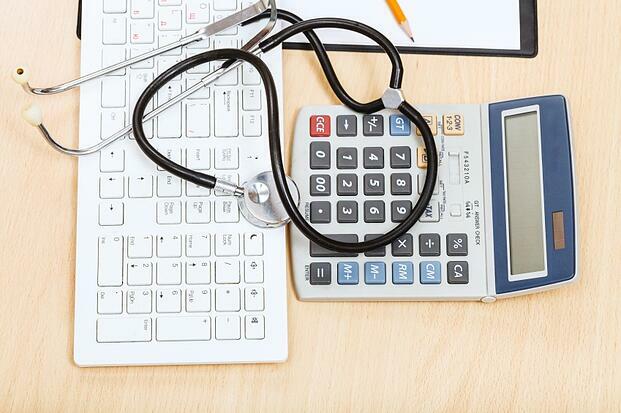 Let’s discuss a few steps you can take to find the right coverage for your medical practice’s overhead expenses. Add the expenses in this checklist to determine the minimum amount of coverage you will need to cover your overhead expenses. Always keep in mind the most important thing about choosing your coverage is how much overhead you actually have. It’s a good rule of thumb to get quotes from multiple providers to see what they offer. Check their rates and what you will receive in return. And always read the details. Make sure that the expenses you are concerned about are covered. For instance, if a large portion of your expenses are due to rent or mortgage payments, you will want to make sure that you choose a plan that covers those costs. Find out what’s not eligible for business overhead insurance coverage: Sometimes this means that the salaries of your business partner and salaries of those that were brought on after your disability may not be paid for. Check the financial strength of the insurer: You want to make sure that there’s money to be paid out if you need it. Make sure your taxes are taken care of: Since the premiums that you pay are deductible as a business expense, a payout is considered taxable income. Understand how monthly benefits work: You will receive a maximum monthly benefit, but you will only be paid for the actual expenses that your practice incurs. This is another important reason why the coverage you choose is close to, equal to, or above the equivalent of your expenses. If you have leftover funds, they will roll over to cover the following month’s expenses. Consider an appropriate waiting period: There are important timelines when it comes to overhead expense insurance: the elimination period and coverage period. The elimination period is the waiting period between the beginning of your disability and the start of your benefit payment. Typically, the waiting period is 30, 60 or 90 days. The coverage period is is the maximum length of time that the benefits will be paid out, which is usually 12, 18 or 24 months. Payments will begin after the elimination period and continue for the time allotment that you choose. With Office Overhead Expense coverage, your business can continue to operate even when you are unable to work. But determining the right amount of coverage, comparing prices and choosing an appropriate waiting period can raise questions. To make sure you get the right coverage for your practice, it’s best to work with an experienced insurance advisor. Don’t have an advisor yet? Get in touch with us today. We’ll partner you with an experienced advisor who can help determine your practice’s expenses and search the market for the plan that best suits your needs.